Still available! Score a free movie rental and free package of popcorn at Family Video! Just text JOIN to 66822 and they'll text back asking for your zipcode. 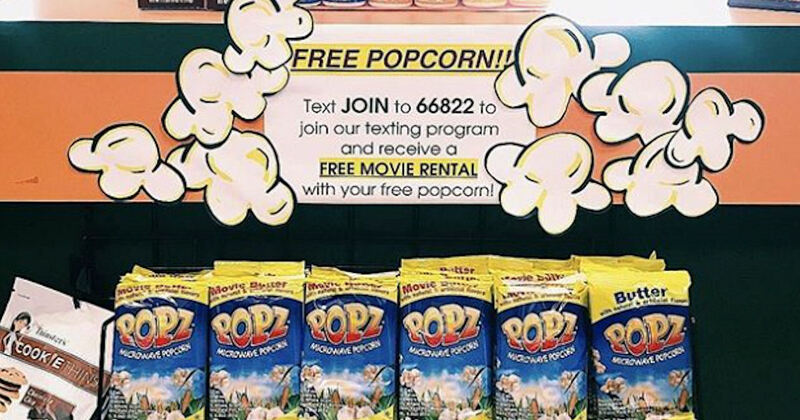 After texting your zipcode, you'll get another text with your free movie rental and free popcorn coupon! Just show your coupon to the cashier to get your free movie and a free pack of microwave popcorn!